Find a vacation home to rent in Grums Municipality from our list of vacation rental properties. Campaya has over 10 vacation homes available in Grums Municipality, which give you the possibility to locate a unique accommodation in Grums Municipality which completes your check-list in search for the perfect self catering vacation apartments in Grums Municipality or vacation villas in Grums Municipality. Beautiful, newly built holiday home direct by Vänern. Fantastic view from the kitchen and living room, where you can see over the Vänern. Typical holiday home with a nice, combinated kitchen-dining room, situated nearby a lake and own jetty. There is only water in the annex in the summer time. 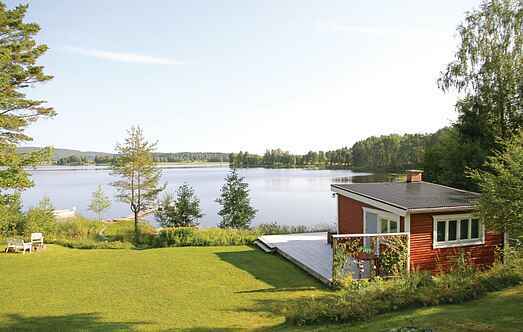 Fantastic holiday home on a slope leading down to the south end of the lake Lånsjön. Very nice area with pond, old mills and a meandering then river, which empties into the Långsjön. This house is located near the beautiful lake Långsjön. A staircase takes you down to the pier, where the boat is moored. The area is rich in berries and mushrooms. The apartment Grums is located high on the ridge and with beautiful views of Fisketjärn in Värmland. Come to stay at this lovely holiday home with a wonderful location. You can really put your feet up and relax whilst staying in such a home away from home. 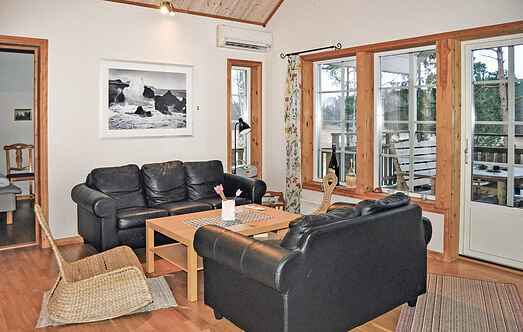 Exclusive and elevated holiday home with beautiful views over the horizon and the boats on Vänern. Rich bird life. Separate sauna with a flight of stairs directly by the lake. This beautiful and cosy holiday home is on lake ground that is fenced. There is a private pier in Fisketjärnen. The neighbourhood is rich with berries, mushrooms and elks. Spacious holiday home on a plot with a garden, situated in a quiet area. Bathing in Billingen lake 3 km. Angling in Värmeln lake 1 km. Arvika 27 km. Great holiday house with two terraces and roof, these are partially surrounded by glass. A short walk across the street brings you to a very nice swimming area for the whole family.